We currently show all sizes in stock. If any size were to go out of stock, we would mark the item at backordered next to the size in the size selection box. Whatever size glove you normally wear is the size you would want to purchase. 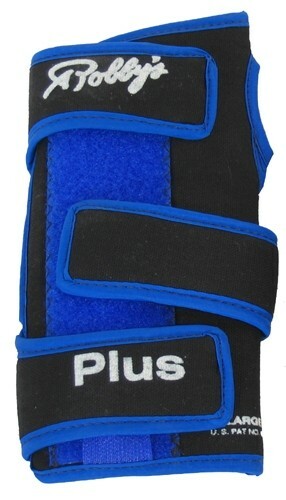 The Plus support is a little longer over all compared to the standard Cool Max but the support extends toward your forearm up past your wrist on this support rather than extending out toward your fingers. The Robby Revs support would have more support out to your fingers if you wanted something with more support toward your fingers. Due to the time it takes to produce the Robbys Cool Max Plus Blue Right Hand ball it will ship in immediately. We cannot ship this ball outside the United States.